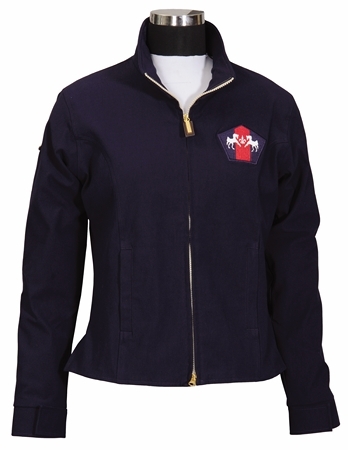 Order horse, equestrian, and western jackets and hoodies online in a variety of styles. Relaxed-fit hoodie features a purple plaid BARN BUM appliqué and matching lining inside the drawstring hood. Ribbed cuffs and hem; kangaroo pocket. 60% cotton/40% poly. Machine washable. Imported. Unisex sizes: S-XXL. Zip-front Hoodie has plaid lining inside the hood, handwarmer pockets, and ribbed cuffs and hem. Horse head embroidered on the left chest. 50% cotton/50% poly. Plaid Lounge Pants have elastic waist with drawstring. 33" inseam in size medium. 100% cotton flannel. Both are machine washable. Words to live by! Keep Calm and Canter On is screenprinted on the front of this relaxed pullover hoodie in French terry. Contrasting lined hood with tape drawstring. Kangaroo pocket. Ribbed cuffs and hem. Color: Brown. 100% ringspun cotton. Machine washable. Imported. Unisex sizes: S-XXL. XXL. A generous cut and microplush fleece make this jacket warm and cozy. Dramatic wild horses design on front and back. Zippered front, stand collar, elasticized cuffs and toggled drawcord at hem. 28" long in size medium. 70% acrylic/30% poly. Machine washable. Made in USA. Ladies' sizes: S (8-10), M (12-14), L (16-18), XL (18W), XXL (20W). 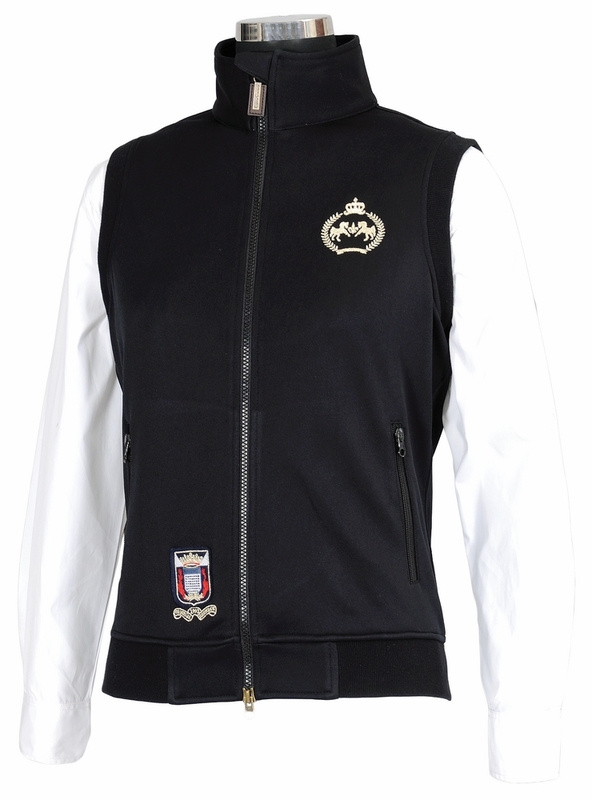 Microplush fleece gives this jacket a luxurious feeling and superior warmth. A repeating pattern of white horses creates a beautiful border at the hem, sleeves and lined hood. Zip front with toggled drawcord at waist and hood. Elastic cuffs. Side seam pockets. 31" long in size medium. Non-pill fleece is 70% acrylic/30% poly. Machine washable. Made in USA. Ladies' sizes: S (6-8), M (10-12), L (14-16), XL (18), XXL (18W-20W). This hoodie's got a touch of class! Light-weight top layer with zip front features a crystal horseshoe on the left chest, plus more crystals on the front pockets. Drawstring hood. 27 1/2" long in size medium. 100% cotton. Machine washable. Imported. Ladies' sizes: S (6-8), M (10-12), L (14), XL (16), 2X (18). 2X. Our stylized hoodie is a work of art. A large horse head on the back features antiqued studs and colorful stitching. Seams have contrast pick stitching. Crystals, studs and tassels add unique accents. Hood has tape drawstring with tassels. Handwarmer pockets; fleecy interior. 100% cotton. 23" long in size medium. Machine washable. Ladies' sizes: S (6-8), M (10), L (12), XL (14-16), XXL (18). XXL. The warmth of this plush fleece jacket is matched by the warm image of two mustangs on a sunset trail, printed on front and back. 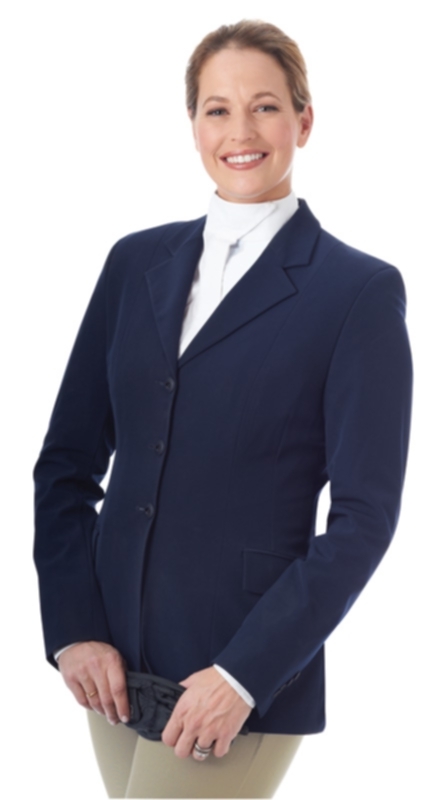 Generously cut jacket has a zip front with stand collar, on-seam pockets, and elastic cuffs to keep out the cold. Adult jacket is 29" long in size medium. 100% poly. Machine washable. Imported. Adult sizes: S (6-8), M (10-12), L (14-16), XL (18), XXL (18W-20W), XXXL (22W-24W). Youth sizes: XS (6X-7), S (8), M (10-12), L (14-16), XL (18). A stylish denim jacket by Miss Me! Dark denim wash. Heavy stitching accents yokes & chest pockets. Silver-tone Miss Me logo buttons at front placket, chest pockets & cuffs. Sparkly rhinestones accent chest pockets. Miss Me makes quality, fashionable apparel for todays hip cowgirls! This Miss Me denim jacket will pair perfectly with every pair of your Miss Me jeans! Jacket features a spread collar. Buttons at front placket, chest pockets and cuffs. Jacket is made of 93% cotton/6% polyester/1% elasterell. Imported. Sizes: S(2-4), M(6-8), L(10-12). 100% Cotton denim. Spread collar. Rivet button cuffs, front placket, chest pockets. Tailored fit. American flag screen print on back. Vendor Style: 03-098-0185-0040 BU. The womens denim jacket by Roper is made of mid-weight cotton denim with classic styling. Rivet buttons adorn the front closure, chest pockets, and cuffs. A weathered American flag screen print resides on the jackets back panel.